Increased tension between Tehran and Riyadh has fuelled speculation that shared interests may push Saudi Arabia and Israel to work together. 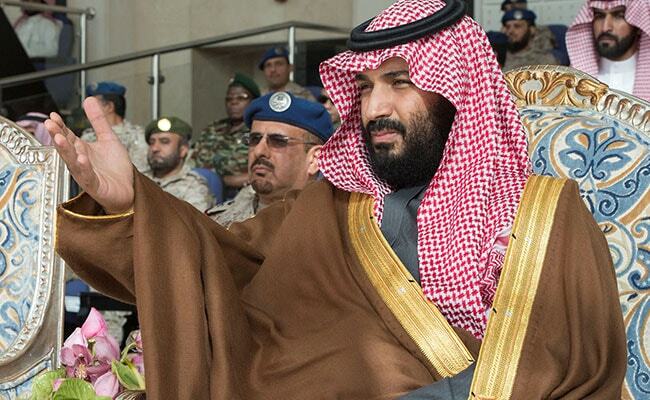 Saudi Arabia's crown prince said Israelis are entitled to live peacefully on their own land in an interview published on Monday in U.S. magazine The Atlantic, another public sign of ties between Riyadh and Tel Aviv appearing to grow closer. Asked if he believes the Jewish people have a right to a nation-state in at least part of their ancestral homeland, Mohammed bin Salman was quoted as saying: "I believe the Palestinians and the Israelis have the right to have their own land. But we have to have a peace agreement to assure the stability for everyone and to have normal relations." Saudi Arabia - birthplace of Islam and home to its holiest shrines - does not recognise Israel. It has maintained for years that normalising relations hinges on Israeli withdrawal from Arab lands captured in the 1967 Middle East war, territory Palestinians seek for a future state. "We have religious concerns about the fate of the holy mosque in Jerusalem and about the rights of the Palestinian people. This is what we have. We don't have any objection against any other people," Prince Mohammed said. Increased tension between Tehran and Riyadh has fuelled speculation that shared interests may push Saudi Arabia and Israel to work together against what they see as a common Iranian threat. Saudi Arabia opened its airspace for the first time to a commercial flight to Israel last month, which an Israeli official hailed as historic following two years of efforts. In November, an Israeli cabinet member disclosed covert contacts with Saudi Arabia, a rare acknowledgment of long-rumoured secret dealings which Riyadh still denies.